Tour de France 2014 - Stage 8: Les Petits for the brevet de 7 cols. I first did my “warm up” on the Saint-Jean – just some 400+ meters elevation gain over a distance of around 12 kilometers. It offered a few nice ‘see through’ views half way, but the ‘summit’ was not clearly marked and I had to look twice to find the ticket punching machine. We went back to the apartment for our lunch break and in the afternoon I set out for the Col de Vars. That may not look like much of a challenge: albeit a respectable 14 kilometers long from les Gleizolles, it only has only 800 meters of elevation gain (5.7%). 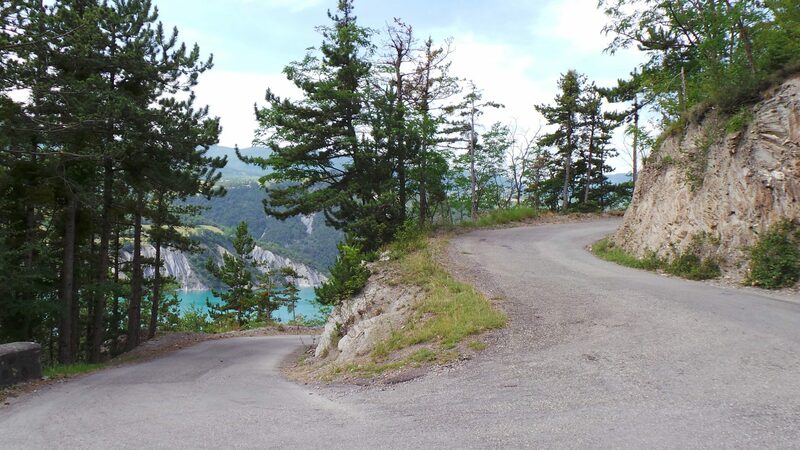 I wasn’t sure I was going to be able to get up the short but steep Montée de Sainte-Anne after the hard final of the Vars, but I was passing it on the way home anyway, so I was going to try. The Montée is also a ‘petit’ at just 6.5 kilometers, but with an elevation gain of 540 meters, it’s about as easy as the final of the Vars and not a lot easier than the Pontis. The kilometer at >10% average was not much fun, but I made it. Trip: 97 kilometers / 3,095 meters elevation gain (Garmin Part 1 and Part 2).